G’day! 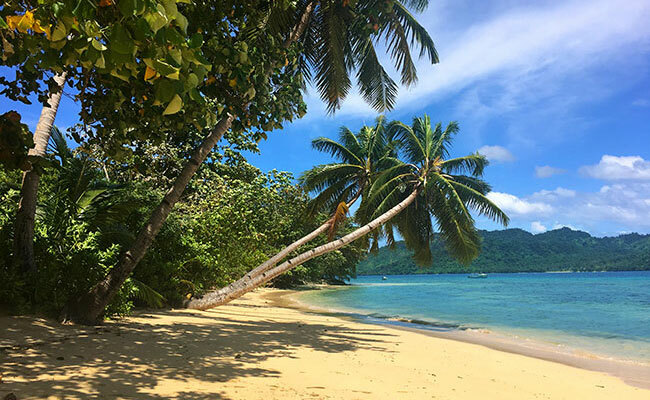 Imagine yourself in the most gorgeous of tropical settings of Fiji, surrounded by lush rain forests, white sandy beaches and pristine coral reefs. Sounds amazing, right? 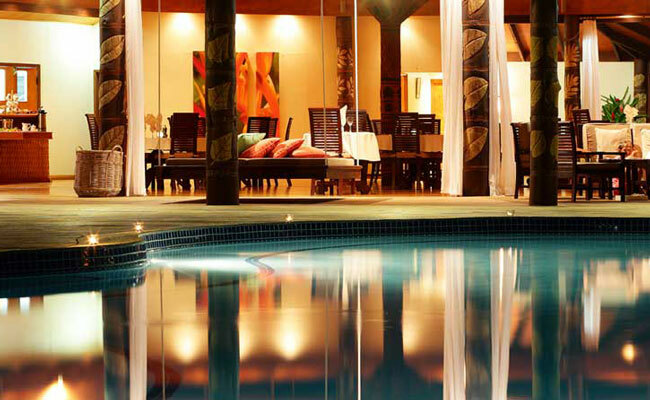 Well, Matangi Private Island Resort has all that and more. Matangi Private Island is a unique, privately owned, island paradise. Situated in the Northeast part of Fiji. Fiji is made up of a group of 332 islands in the Southwest Pacific Ocean, scattered over an area of 18,736 square kilometers. Much of the island resort is crafted from local hardwoods, bamboo, lava rock and coconut palm thatch- offering a harmonious balance between nature and elegance. Surrounded by lush tropical gardens, yet situated only steps from the private beach, the bures here offer privacy in the most spectacular of settings. Not only will you lose yourself in the gorgeous surroundings, you also have the option to melt stress away at Matangi Private Island Ocean Spa. Featuring an over-water deck with relaxation area, gift shop and two couple treatment rooms. If a lazy day isn’t what you fancy, try one of the many awesome water activities at Matangi. From snorkeling and scuba diving to sailing, kayaking and paddle boarding you’ll be having fun in the sun all day long. If you’re feeling like an adventure, explore the island on a guided tour—make sure you take in the beauty of Horseshoe Bay, which was recently featured in the book “1,000 Places to See Before You Die”! You can also experience Fijian culture, by visiting a village on the neighboring island of Qamea, where you can enjoy the warm hospitality of the locals and observe everyday village life. One more thing that Matangi does in a world-class style: cuisine. The cuisine on Matangi Island is largely influenced by the tropical surroundings, Fijian heritage and the unique flavors of the South Pacific. 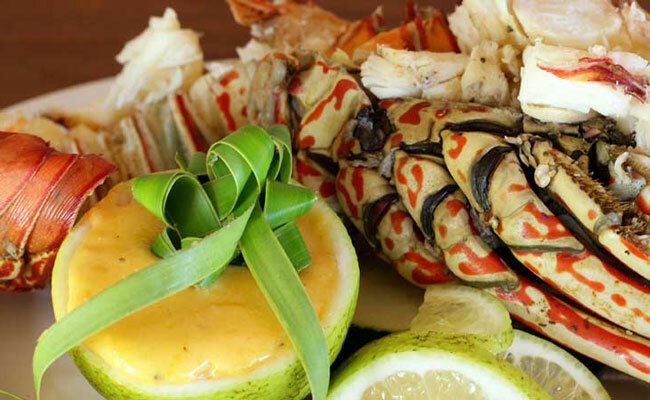 Experience the delicious blend of exotic tropical Fijian foods, providing an array of fresh fish and seafood caught by local fisherman, imported meats, salads, locally grown vegetables, tropical fruit from the surrounded gardens, freshly baked breads and sumptuous desserts. Once a week, you can experience a traditional Fijian fest called ‘Lovo’ where food is cooked in an underground earthen-oven. To compliment the amazing meals, you’ll also find a large selection of world-renowned Australian and New Zealand wines, as well as French Champagne. 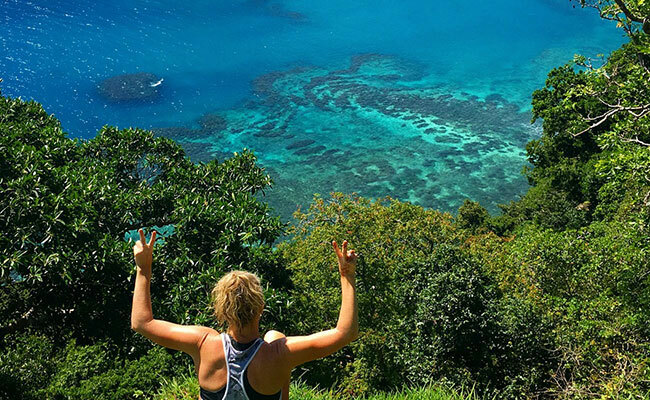 Ready to begin planning your own adventure to Matangi and the rest of Fiji? Browse our custom Fiji travel packages, or contact us at 888-367-0933 start planning the adventure of a lifetime!